I just read where President Obama has proclaimed November Military Family Month. Funny I first heard about this on Twitter from a military supporter. Seems this should have been on the news. Maybe it was and I just missed it. Anyway this should have been done a long time ago. I have found that a lot of people with military family members do not understand the scarifice of the family members. Even LCpl Honda has said he believes military life is harder on family members than the one actually serving. So read this procalamtion and while you are thanking a member of the miltary remember to thank their family members too. “No one pays a higher price for our freedom than members of our Nation’s military and their families. As sons and daughters, husbands and wives, and mothers and fathers are deployed, military families endure with exceptional resilience and courage. 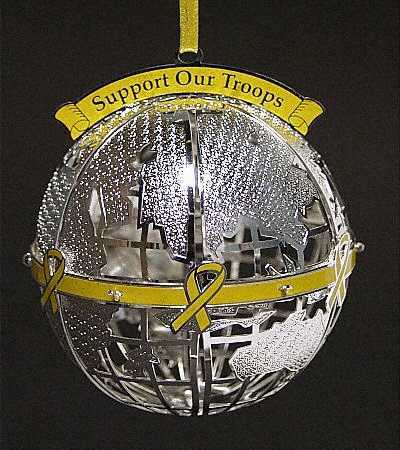 They provide our troops with invaluable encouragement and love, and serve our Nation in their own right. During Military Family Month, we honor the families of our Armed Forces and thank them for their dedication to our country. “Though only a small percentage of our Nation’s population, our troops bear the great responsibility of protecting our people. They, along with their families, serve us every day with courage and dignity. Ensuring that military families receive the respect they deserve and the support they have earned is a top priority for my Administration. “The strength of our Nation is measured not just by our success on the battlefield, but also by our ability to support those families who have made so many sacrifices for us. Time and again, military families have shown their heart in the face of adversity. We have a solemn obligation to ensure that while our men and women in uniform discharge their duties, we do all we can to promote and preserve the well-being of their families. We must also support the families of our wounded warriors and our fallen heroes who have paid the ultimate price for the freedoms we enjoy. “This month, we celebrate the tremendous contributions of military families, convey to them our deepest respect and appreciation, and recommit ourselves to their support. When I learned President Obama went to Dover Air Force Base last night to honor fifteen fallen troops and three DEA agents returning from Afghanistan I admit I was not quite sure what to think. He has been holding off on sending more troops to Afghanistan for many months now. I am not an expert but I am sure there are political reasons for the delay such as the upcoming elections on November 7. I would like to hope that Obama visited the fallen troops and their families as an honorable thing and not a political ploy. 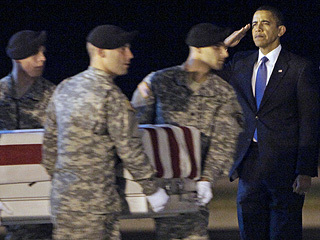 I know that it is not possible for a sitting President to meet each fallen troops as they return. On one hand, I am glad he went and I am sure it had to be a comfort to the families. If my child was returning after sacrificing their life for our country, I know I would appreciate the President of the United States making the effort to come and pay his respects. I am not sure however that I would want reporters there. I have not been in the situation so I really cannot say. As the mother of an active duty service member I do not always agree politically with out nation’s leaders, but one thing is for sure, I respect them just as my son does and my daughter did when she served. 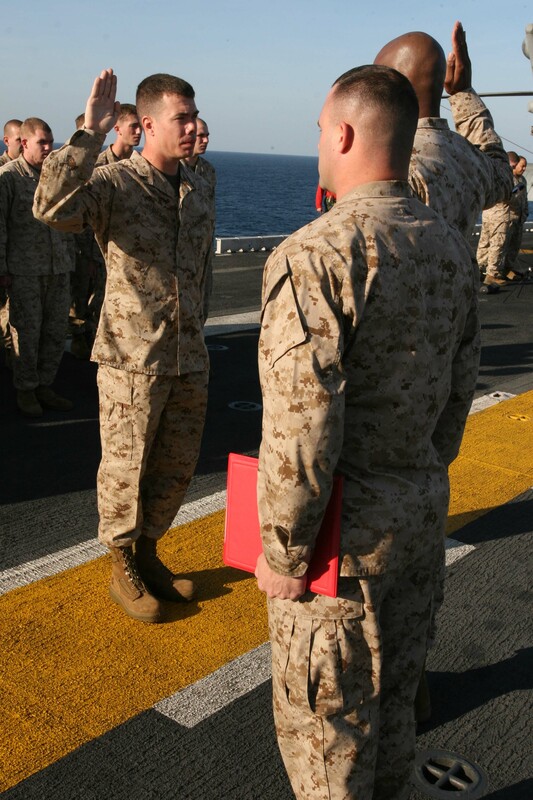 When asked about my son’s stand on the current wars he just says it is his job to do to the best of his ability and to respect his commander-in-chief. Not everyone agrees with this and that is okay. This is why we live in America. We have this right guaranteed. Getting back to President Obama’s visit, I cannot look into the man’s heart, but I have enough faith and hope that he did this for the right reasons. If so then I applaud you. If not than all I can say is, “Shame on you.” In addition, I hope that President Obama took a good long look at the cost the Afghan war is causing. I sincerely hope this experience will aid him in making the right decision so this scene is not repeated. But, alas, I think that is just wishful thinking on my part. More importantly, we must remember those who sacrificed for our freedoms. We must remember the families whose loved ones sacrificed for our freedoms. Paying our respects to these troops and their families is really something we all should do. We cannot do it everyday in a personal way, but we can inside ourselves. This is my newest post on Parent’s Zone. I was just thinking the other day about how lucky we are as parents of deployed children to be able to communicate with them during deployment. Do not get me wrong. It is still very hard to sleep with the phone, check email countless times and yes, I am sure we all know what it is like to “stalk” the mailman. I recently spoke with some Patriot Guard friends who lived through the Vietnam area. They reminded me to be thankful for communication we enjoy these days as they like their counterparts in WWII and other previous wars had rely on a written letter. Skype was far from being a possibility in those days. Now, we also have the overwhelming influence of Social Networking sights. I can hardly believe I can logon to FaceBook everyday and see pictures posting from the ship. Not to mention the Capt of the ship occasionally will post updates. I search Twitter everyday for info and I have been able to connect with other families with loved ones on this ship. Why, I almost set my 80-year-mother on FaceBook. She declined and just decided to follow the Shutterfly site I have set up where I add all the news stories and pictures I find concerning the deployment. I saw a tweet from a pregnant wife appealing to the ship to contact her deployed sailor because she is ready to give birth and her husband had not called since the ship sailed. Unbelievably, the ship replied and told her to email privately and the contact person on the ship said he would see what he could do. That did not happen in previous conflicts. The point is that even though it is still very hard for us to sit and wait, nearly shower with the phone, exhaust every search phrase on Google and make the mailman want to change routes, we are very lucky and blessed. We are all in the boat together as were all the parents, wives, children…before us.